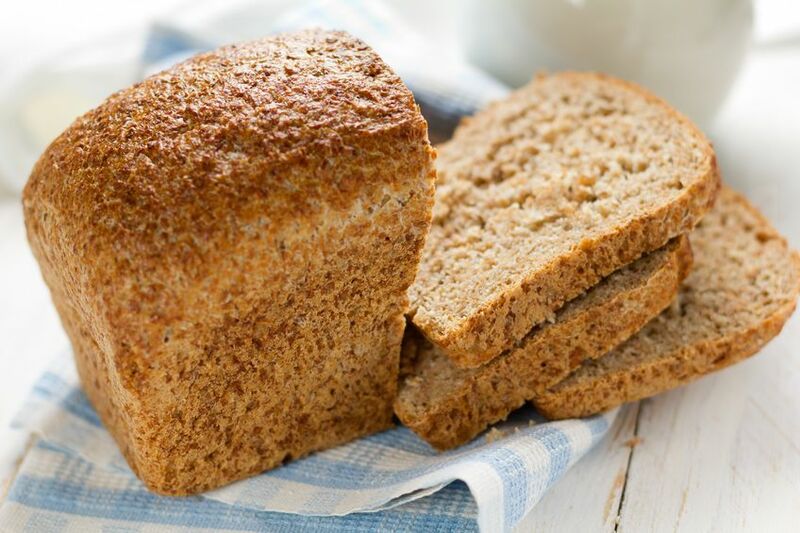 This recipe is a 100% wholemeal bread you can try at home. Most of the wholemeal breads you get in the supermarket are only 60% wholemeal by comparison. That’s why they feel so soft and light in the hand. I have added walnuts to the bread to increase its nutritional value as well as its taste and texture. Walnut is an alkaline nut that is full of antioxidants, fiber and minerals. It is one of the healthiest nuts to consume on a daily basis. In the recipe, bread flour (83%), wheat bran (14.5%) and wheatgerm (2 .5%) when combined together makes up 100% wholemeal flour. So there is no added flour in the recipe. In addition, you can substitute wheat bran with other organic bran from oat, rice or barley to make your range of healthy breads more interesting. You can also substitute the wheat bran with organic seed like flaxseed and chia seeds which are high in Omega -3 fatty acids which is good for keeping our heart and brain healthy. To make it more interesting you can include some sesame, pumpkin and sunflower seeds. This seed mixture will be full of minerals and antioxidants that will certainly boost your metabolism. This bread will improve your health and help to manage your weight. It is ideal for diabetics. If you like a softer version of this bread, you may add a few tablespoons of honey to this recipe. Mix all the ingredients except walnuts on slow speed for 1 minute. Continue to knead on medium speed for 15 - 20 minutes until dough is fully developed. Add walnuts and mix for 1 minute on slow speed. Mould the dough into a round ball and place in a container. Ferment in a warm place for 1 1/2 hours until dough doubles in size. Divide dough into 6 pieces for full recipe and 3 pieces for half recipe. Round up and rest dough for 10 minutes. Roll out the dough until the length is 3 times the width. Immediately make a three-fold. Turn dough 900 and roll again. Mould dough into a Swiss roll shape and place into small tins which are 2 ½ times the size of the dough. Prove in a warm place (30 - 370C) for 1 – 2 hours until the dough reaches the top of the tin. Bake at 230 degrees Celcius for 25 minutes.